Hi.. Welcome to my (ride report) blog. It is part of the other side of my life, I guess. Get away from the hectic of my working routines and environment as a corporate lawyer and businessman. Here I am enjoying different kind of relaxing but still challenging at the same time; riding my touring or sport bikes. Hm.. Looks like I never get away too far from a challenging (and some how, risky) activities. In this blog you could see my riding activities. A bit different with my other blog (Hanya Kata-kata), in this blog you could see a lot of pictures. So far, I have ridden my Ducati Multistrada (mostly with a group of riders) in Sumatra, Java, Bali Islands and Malaysia Peninsula. I would like to explore more and ride in Sulawesi Island and other parts of Indonesia this year (if possible) or next year. Would you like to ride with us? Some other bikes related issues or activities could also be found here. Please enjoy and feel free to comments. we can learn from your experience.. specially riding experience. Do you live around Cilandak area… coz i have seen you at the mosque ??? Thanks Bro. Yes, I live in Cilandak (Dapur Susu area, to be sharp) and I some times go to At Taqwa mosque just close by my house. Are you also living in that area? Wow.. yes RSPP Complex is just about 2 minutes from my house and I pass that area every day on the way to my office or back home. 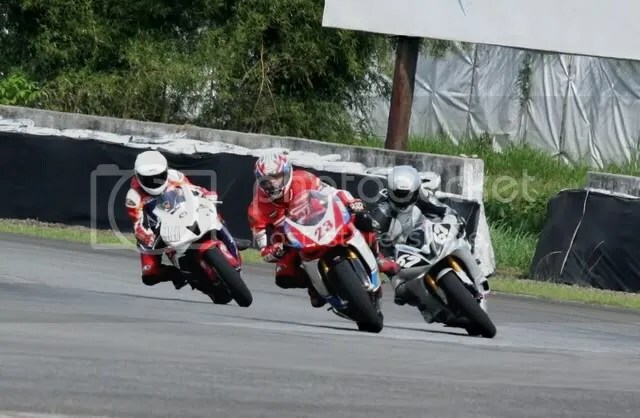 This Saturday we will have a track day in Sentul. Will you be there? i really want one of that reds…haha..
Wah, rupanya Pak Agus punya blog juga. 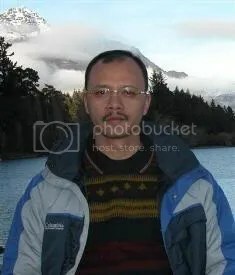 Btw, Pak Agus pengunjung blog Pak Shodiq juga ya? Beliau baru menerbitkan buku Muslim Romantis dan Mati Tertawa Ala Islam yang diterbitkan oleh penerbit kami. Hamdalah adalah imprint dari PT Grafindo Media Pratama. Wah.. ketemu lagi disini yaa. Iya ini Blog hobby. Tempat mengekspresikan Adrenalin secara positif. Ada lagi Blog “Hanya Kata-kata” (http://tulisannugroho.wordpress.com/) baru aja buka buat nampung sementara tulisan2 saya. Wah.. Blog ku bermasalah nih… Ada banyak postingan berikut semua komentarnya yang tiba2 HILANG.. Confuse juga kenapa bisa gitu.. Menurut masukan beberapa Blogger senior, bisa jadi kena Hag. Duh.. kenapa sih ada yg iseng tapi negatif gitu? I am currently working on developing a list of Motorcycle Blogs for our customers at Motorcycle-Fairing.com. This is our way of giving back to our loyal customers. Your blog, https://agustusnugroho.wordpress.com, will be featured on our homepage. Aside from increased traffic, having your site on our homepage will benefit the ranking of your blog. If you have details you’d like me to use, please let me know and I will add your blog as soon as possible. I think this is the best place to ask questions 🙂 The other day I was browsing the Internet and I came across a whole bunch of Ducati distributors/dealers and what not, all in Indonesia. I could not resist but contact a few of them, they all told that these bikes were originals. I couldn’t sleep that night thinking what a bargain, but it’s too good to be true, in my oppinion. Can somebody shed some light on this subject and explain what the heck is going on here? Wow.. I could not believe this..!! We know exactly amost every single bike in Indonesia. Those bikes and the Company’s Names referred therein are NEVER EXIST legally in Indonesia..!! 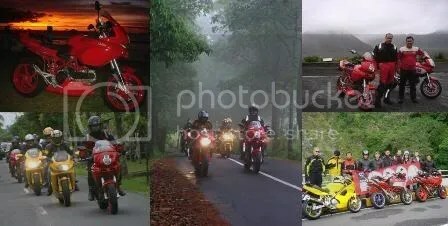 The bikes mentioned are also inccorect (a Ducati Monster with a Honda CBR, Ducati Demosedici RR with 1098 picture, etc). This could be arrange by a or some HECKERS which we do not know where. Please ignore and do not spent your time dealing with this kind of people. I’ve talked to a few “distributors” they want $80 USD for RX-7 helmets. Gee, you guys live there, you don’t know anything about this? Those distributors has NEVER Exist legally. No real address is available for this kind of activities. If you could meet them phisically and see the goods offered by them here, you could even pay them triple price offered for RX7 Arai Helmet and that is still classified as a veru good price. But, will that thing happen? You may try and pay them USD80 if you like, and hope the helmet will come to your address, one day.. which we will never know when, if it ever reach you. Robert, if you live here, in Indonesia (with 300 million popullation spread out in more 13.000 islands) will you know? I will know this kind of activities if it is real and they start offering their product “directly” (not via Internet) to Ducati community here in Indonesia. But, how should I know this people, if they are really Indonesian ? They even don’t know what they are selling (See their offer of a Ducati Monster with Honda CBR picture, or Ducati Desmodedici RR with 1098 picture, etc). We do not know this kind of people, if they are really esist in Indonesia. Do you know all people in your country who has an access to internet Robert? We are also not a Cyber Crime Police Officer. Come on Robert.. ask a more reasonable question..!! Cyber Crime is exist every where in the world. Even FBI has a specific department to take care of it which showing that it’s existence is quite a lot in USA. In my last question I was just wondering that these type of things can happen and nobody knows about them. Internet trading is not something common yet, in Indonesia. We usually still buy things directly at an old fashion store. I have answered the rest of your questions (if that really, questions), above. I’m wondering if you really know Ducati, or not looking for a “strange ilogical unbelievable cheap price of goods” how can you ever trust or interested to someone offering you a Monster with CBR pic, or Desmosedici with 1098 pic ?? I guess we should stop the discussion about this topic here. Thx. I submitted some of my comments in your other weblog. In this page I only want to ask the existance of very old motorcycle shown above. Does this bike still exsts ? Where the photo was taken ? In Indonesia ? If you know who own it I would really like to meet and see closely this rare species. Thank you and my warm regards. P.S. 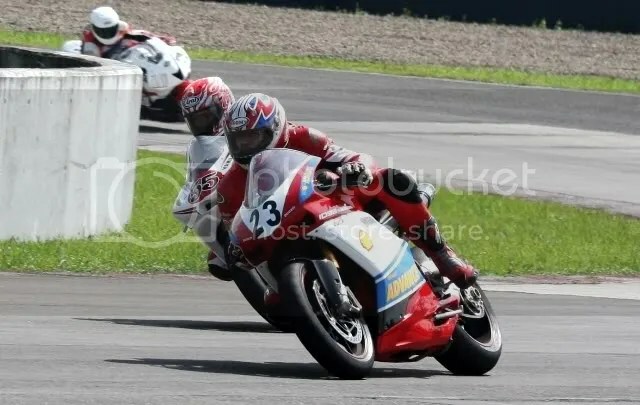 When we can ride together again Bro Noeg ? I’m enjoying to read every your reports, right now I already finished reading your Oct & Nov 2007 reports :-). Keep riding safely and share it, and maybe someday could I join? I am a Ducati Fan, a big Fan, but just so happens I am only a Fan not an owner of one. But I hope that soon will change. I am on the market for a used monster, I’ve been to your store a couple of times but still the used ones are way beyond my tiny budget. I heard from your employee (Inggar?) that there are finance companies (Massil & Niaga?) willing to cover used bikes. Can I have the contact number and person for that company? Is Niaga willing to cover used ones? And one more thing, If I get the bike from a user, can I lease them directly or do I have to buy it through your Store first ? The is only one or two 2nd hand Monsters on the market. I’m sending you email for more detail discussion. just to make sure my address is stoner_27@telkom.net or you can call or text me at 08151844055.
that’s why I didn’t get your e-mail, and that’s why my avatar didn’t show up. so would you please be so kind to re send?. Hi, I think we had allready some email contact. I`m Uwe, just arrived from Swizzerland. Unfortunately I had to leave my Ducati there. I am looking for some informations on regulations of motobike riding in Indonesia. Some colleagues told me you need to be member of a club, e.g. For sure if I would buy my a bike it should be again a Ducati. Are there shops here? For any hint I would be thankful. Hope you now understand due to a very high tax regime, Big Motorcycle Proce in Indonesia is very high. Come to Ducati shop in Automall at SCBD (beside Pacific Place and closed to The Jakarta Stock Exhange Building). You may get all information about Ducati there. Anyhow, if you have any problem, you may always contact me. thank’s for the quick response! For sure I will visit the Ducati shop, it seems to be quite close to my appartment! Place : Race2Run Café, Jl. Raya Pasar Minggu, Pancoran. So Gila Motor could RSVP a seat for Bro Nug on the event. So sorry to sent you an invitation through comment, I can’t seems to find a direct email to sent it. info pemenang uis shell advance sampai sekarang kok masih gelap yah? november semakin dekat bwat grand price nya, trus vixion nya yg 4 itu kapan juga ya? bareng hadiah utama kah pengundian nya? btw pemenang2 yang nonton gp langsung bulan juli trus yg udah2 juga kok gelap? Wah.. iya udah lama gak di up date yah..
Bentar lagi mestinya undian untuk yang Nonton di Philip Island akan dilakukan. Juga Yamaha X-vion. Coba ntar aku up date yah.. 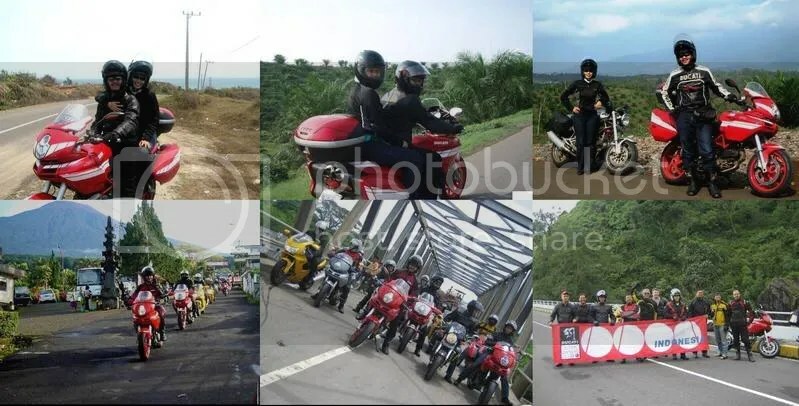 Thank u for sharing your riding experience in Sumatera. Saya ijin link, blognya di WP saya. I appreciate the pictures, well taken and tell the story of this riding adventure. I am writing from California so your description of fresh air (in contrast to pollution here) the good breakfast in Puncak Pass, and the beautiful scenes are of great delight. Thanks for sharing, ride safely, and continue to share in your blog. I was searching/googling MEGA MENDUNG, and stumbled on this great blog. Ah pokok’y w pngn mtr w lbh cadaas n gaul dh…make over abizz dh…! W tnggl d klari karawang. W tn9gu kdtngan lue..lue pda…!! ada yang punya link yang nyediain paket nonton motoGP di Doha Qatar tgl 11 april 2010 ga? Pak Nugroho,salam kenal dari cahaya motor Pekanbaru. Kalau ada touring ke sumatra jagan lupa singgah ke Pekanbaru ya pak! slam knal buat tim the bikers, sya rizal dri bandung. mtor ini mlik bpk sya yg pnya nlai sjrah bgi kluarga sya, & skrang mtornya cman jdi bangkai. sya ngin mmbuat bpk sya bngga lwat acra the bikers ini. sya mhon bgt bntuan dri tim the bikers. sya tnggal di jlan soekarno hatta, jlan akipadma, gang bah kubi, Rt.04/08 no.11 40222 Bandung. Sya mohooooooooon bgt bntuannya, sya tnggu ya kdtangannya. Saya penggemar dan penikmat (ngelihat & denger suaranya aja :D) motor besar. Boleh saya main2 ke showroom ducati di SCBD cuma sekedar lihat2 dan foto2 motor yang ada di showroom atau bengkel ? untuk koleksi pribadi, pak. @Pak Nug – siang ini saya iseng ke showroom tutup ya, Pak? oh iya, apakah di showroom ada test unitnya? Yaa.. hari ini kita semua ke Sirkuit. 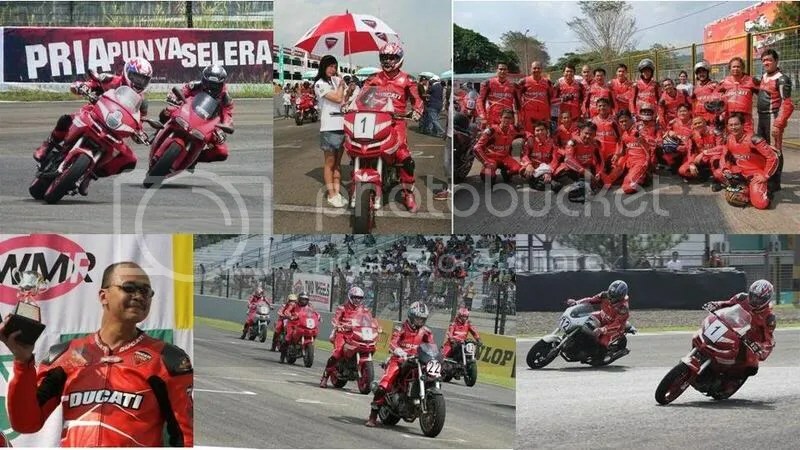 Seri terakhir (Seri 5) Kejurnas Superbike dan Supersport di Sentul. 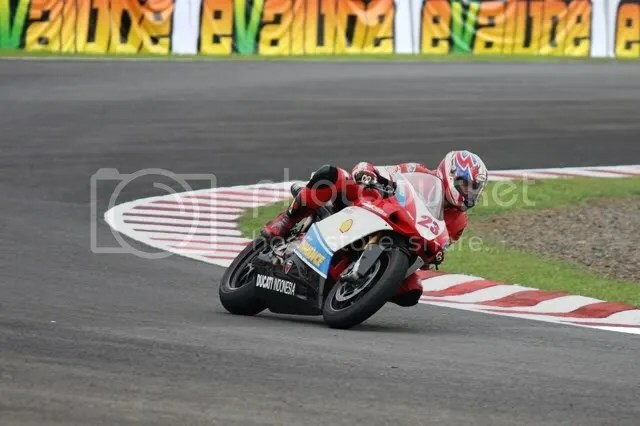 Sekaligus merayakan keberhasilan Ducati Indonesia Racing Team menjadi juara nasional kelas Superbike 2010 dengan Pembalap Matteo. Juga Pembalap Dimas di kelas Supersport yang berhasil naik Podium 3 untuk kedua kalinya. BTW, Congrats buat Ducati Team. Denger-denger Dimas baru 18 tahun ya ? Seumuran dengan saya berarti :D.
greetings from Singapore..nice blog you have here..i would like to know if it is possible to do bike touring in Indonesia with a singapore registered plate bike..what are the paperworks involved..was really blown away by your touring trip reports..any help appreciated..thx in advance! Salam kenal om nug, tadi sore nyari buku di gramedia, ketemu buku buatan om nug yang judulnya “Mata hati” itu buatan om nug bukan???? Mas Nug, daftar pertanyaan sudah saya kirim via email. Bro, boleh minta alamat email, saya mau mengundang untuk acara peluncuran Shell Advance baru, hari Senin tanggal 11 April. kalo ducati yang paling cocok buat harian apa ya? apa ducati monster? berencana untuk pake harian soalnya hehe..
sangat berminat sebenernya sama ducati monster, tapi dia masih berpendingin air cooled untuk mesin segede itu. 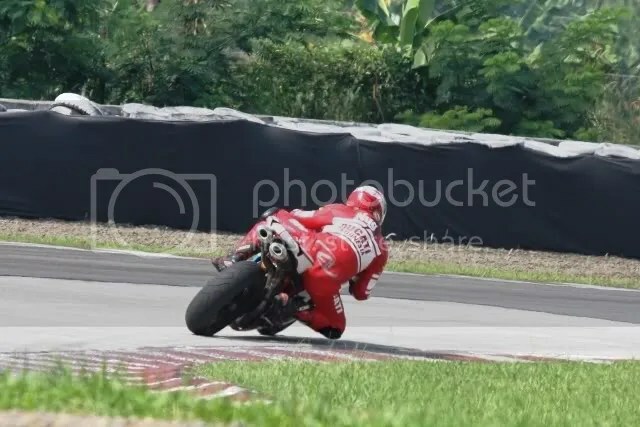 selain itu jakarta kaya gini kan udaranya panas dan sering macet walaupun rute yang saya laluin ga terlalu macet sh..
nah itu realibilitas nya ducati gimana ya? 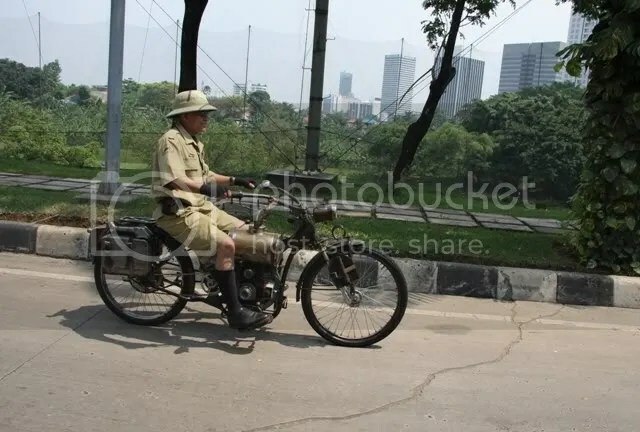 apa sanggup ngaepin cuaca jakarta? oh iya sama ducati monster 696 bakal tetep ada ga ya? 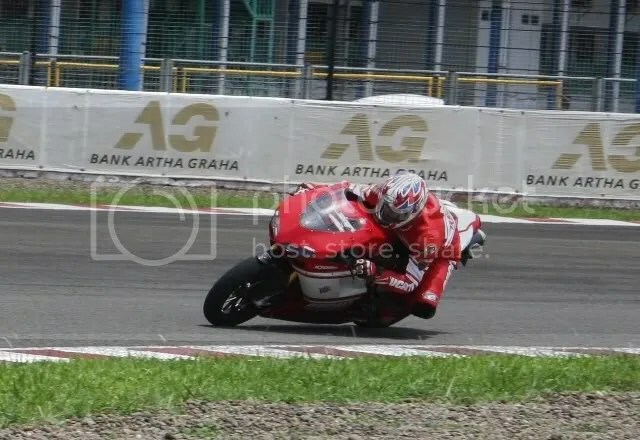 atau bakal digantiin sama ducati moster 795 ke depannya? Ya, welcome on boarad. Hope we could ride together one day.. I love the blend of RED & BLACK…very outstanding….